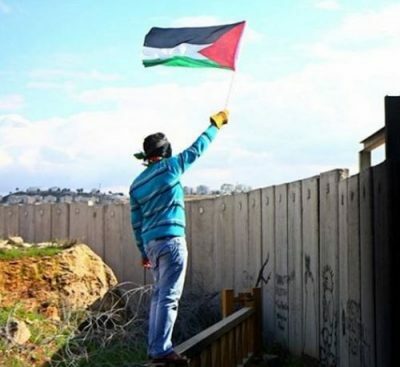 Israeli soldiers assaulted, Friday, the weekly nonviolent protest against the Annexation Wall and colonies, in Ni’lin village, west of Ramallah in the occupied West Bank, and wounded a young Palestinian man before abducting him. The soldiers invaded the village, and attacked the weekly procession by firing live rounds, rubber-coated steel bullets and gas bombs. One Palestinian, identified as Mohammad Abdul-Qader ‘Amira, was shot before the soldiers abducted him. The extent of his injury remains unclear, as the soldiers took him to an unknown destination, after preventing the Palestinians, including medics, from approaching him. Israeli police, on Friday, detained four Muslim worshipers after attempting to fend off Israeli fanatics from touring the Al-Aqsa Mosque compound to celebrate the Jewish holiday of Passover, according to WAFA correspondence. The worshipers reportedly attempted to fend off provocative tours inside the mosques’ compound and prevent them from performing religious rituals there. 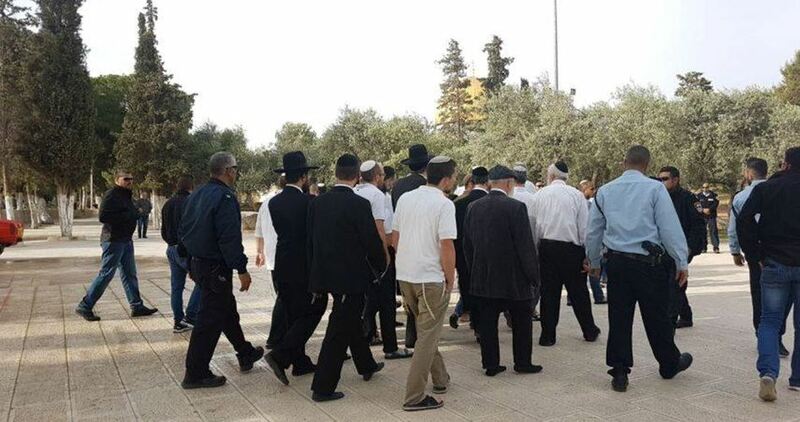 Settlers reportedly assaulted worshipers and used foul language against them, before Israeli police intervened to protect settlers and detain the worshipers. They were taken to an interrogation and detention center in Jerusalem’s Old City district. Jewish extremist groups have called on their followers to be present in the mosque during the Passover holiday and to perform religious rituals. Religious prayers in the mosque are not allowed for non-Muslims. The Jewish groups hope to one day take over the mosque and turn it into a Jewish worship place, a step Muslim and Palestinian officials have warned could bring severe religious strife. Israeli suppressive units afternoon Friday stormed section 10 in the Israeli Nafha jail and violently attacked the Palestinian detainees. Palestinian prisoners’ spokesman in section 10, Ashraf Hanaysha, said the Israeli troops broke into Palestinian prison cells in the hunt for life-sentenced Muslim imam (preacher) Nasser Salah, from Bethlehem. The Israeli soldiers aggressively attacked the imam before they transferred him to an isolated cell on account of incitement to anti-occupation protests and support for the detainees’ hunger strike, expected to kick off on April 17. The prisoners’ spokesman added that fights broke out between the Palestinian inmates and the Israeli wardens. Other Israeli troops showed up on the scene shortly afterwards. A Palestinian man was detained by Israeli police on Friday afternoon after allegedly carrying out a stabbing attack in occupied Jerusalem’s Old City. Israeli media sources claimed that an Israeli settler in her twenties died after being seriously injured during the alleged attack. 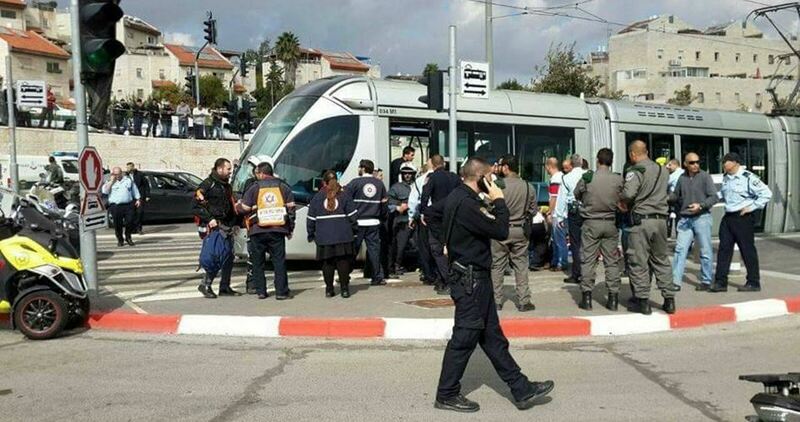 Yediot Ahranot Hebrew newspaper claimed that an Israeli woman was injured with a knife inside the Jerusalem Light Rail. Spokeswomen for Israeli police Luba Sumari said that the Palestinian “attacker” was "neutralized," a term often used by Israeli authorities and media in instances of such attacks to refer to the attacker being killed, injured, or detained. Sumari later declared his detention and transfer to an Israeli investigation center. She said that the Palestinian man who allegedly conducted the stabbing is a 57 year-old resident of the Ras al-Amud neighborhood of occupied Jerusalem. Israeli police imposed tight military restrictions in the entrances of the Old City following the incident, while an investigation has been opened into its circumstances, according to the sources. Israeli soldiers opened fire, on Friday morning, on farmers, and fishers, in Palestinian agricultural lands, and territorial waters, in several parts of the besieged and impoverished coastal region. The WAFA Palestinian News Agency said the soldiers, stationed on a number of military towers across the border fence, east of Khan Younis in the southern part of the Gaza Strip, fired many live rounds at Palestinian farmers, working on their lands, close to the border fence. It added that a similar attack targeted farmers and their lands, in Johr ed-Deek area, in central Gaza, forcing the Palestinians away. In related news, Israeli navy ships opened fire on Palestinian fishing boats in Gaza waters, in the northern part of the coastal region. On Thursday evening, the soldiers abducted a young Palestinian man, who reportedly crossed the border fence, in northern Gaza, and took him to an unknown destination. 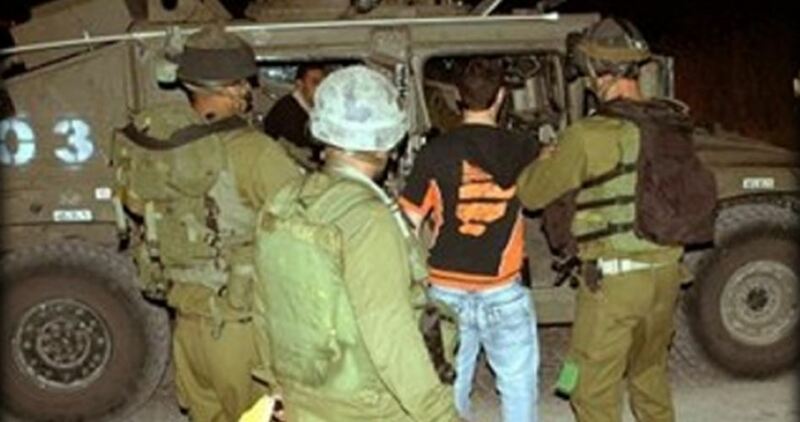 The Israeli occupation forces (IOF) at dawn Friday kidnapped three Palestinian young men in Ramallah and Jerusalem and stormed Kifl Hares village in Salfit province. 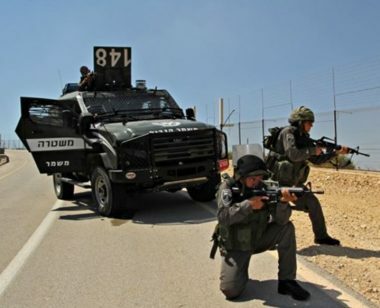 According to the Hebrew news website 0404, Israeli soldiers intercepted a Palestinian vehicle boarded by three young passengers at a military checkpoint near Nabi Saleh village, northwest of Ramallah, and rounded up one of them. The Israeli army claimed its soldiers searched the car and found a knife in the detained young man’s possession. The young man was intending to carry out a stabbing attack with that knife, according to the website. Local sources identified the young man as 37-year-old Walid al-Rimawi. There is still no information about where the young man was taken to. 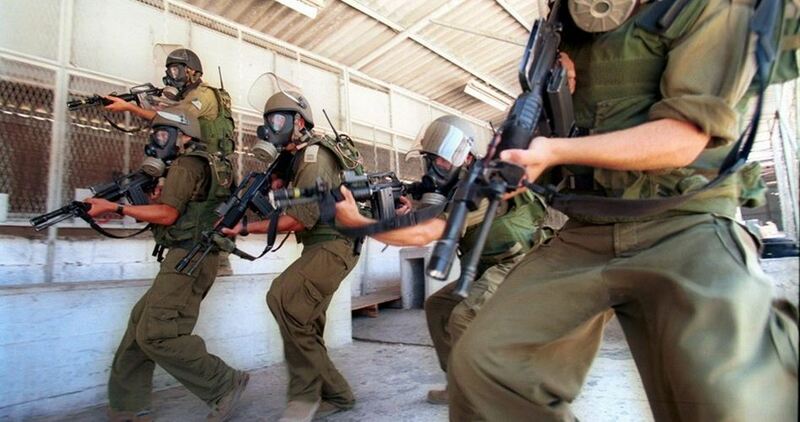 In a separate incident, the IOF kidnapped at dawn two young men from Ramallah city and al-Qubeiba near Jerusalem. One of them was identified as Sufiyan al-Miqdadi. In Salfit province, Israeli troops aboard military vehicles stormed Kifl Hares town and patrolled its streets before they allowed Jewish settlers to enter it to perform rituals. 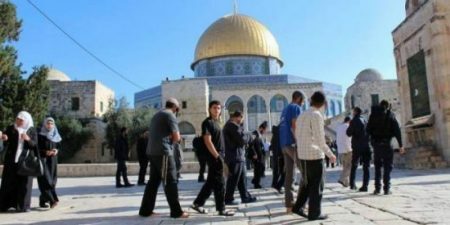 Jerusalemite sources told Quds Press that the number of settlers who broke into al-Aqsa Mosque in Occupied Jerusalem on Thursday jumped to 385 including 133 settlers during the evening hours and 252 in the morning. The settlers’ incursion into al-Aqsa Mosque plazas was carried out from the Israeli-controlled al-Magharebah gate amid Israeli tightened security measures. Israeli police searched and arrested two young men in the courtyards of al-Aqsa Mosque before releasing them later on and denying them access to the Muslims' holy shrine, Jerusalemite media sources reported. Israeli Occupation Forces (IOF) arrested on Thursday afternoon a Palestinian young man after allegedly planning anti-occupation stabbing attack at Qalandiya military barrier north of Occupied Jerusalem. Hebrew sources reported that Israeli police and IOF soldiers rounded up an unidentified 20-year-old Jerusalemite youth after they found a knife and a sound bomb in his possession. He was trying to pass through the checkpoint in order to carry out a stabbing attack, the Israeli sources claimed. The captive was taken for investigation. His detention was extended to next Tuesday, the sources pointed out. Palestinian prisoners representing all factions are expected to participate in the collective hunger strike scheduled to be waged on April 17, commemorated each year as the Palestinian Prisoners Day, rights sources revealed Thursday. Speaking to the PIC reporter, head of the prisoners’ information center Abdul Rahman Shadid affirmed that all Palestinian factions decided to participate in the planned strike. The strike is being organized by Fatah Movement’s high-ranking member Marwan Barghouthi, who was sentenced in 2004 to five consecutive life terms and is being held in Hadarim prison. Palestinian prisoners from all factions held in Hadarim prison will also join the strike, according to his statement. Shadid pointed out that a number of factions, including Hamas Movement, will be represented in the strike by some prisoners for fear of not gaining the expected popular support in light of the local and regional circumstances. However, the decision to collectively join the strike could be taken at any moment, he underlined. 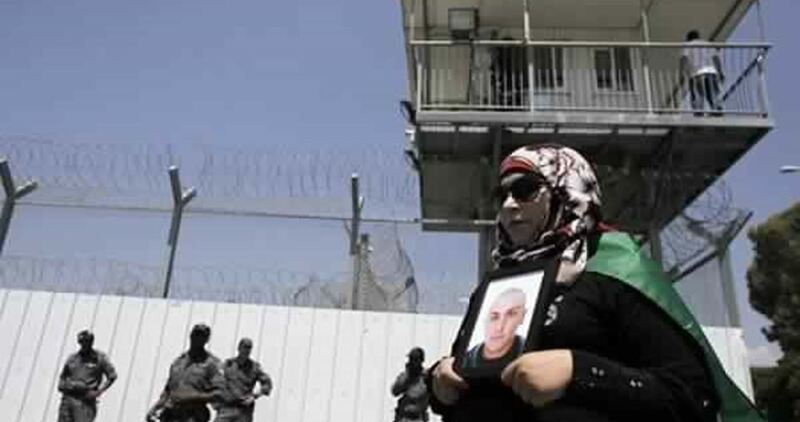 There are currently 6,500 Palestinian prisoners held arbitrarily in Israeli jails including 62 women, 300 children, and 500 administrative detainees. 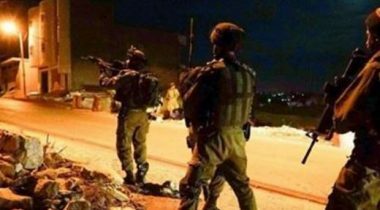 Israeli soldiers invaded, earlier Thursday, Doura city, south of Hebron, in the southern part of the occupied West Bank, and abducted a young Palestinian man. The soldiers also installed many roadblocks, and closed several areas, in the Hebron governorate. The Hebron office of the Palestinian Prisoners’ Society (PPS) said the soldiers conducted extensive searches of homes, in several neighborhoods in the city, and abducted Ghaleb Mohammad Hamdan, 20. The soldiers also installed many roadblocks on roads, in the southern and northwestern parts of Hebron, and completely closed many main roads leading to various villages and towns, especially in the eastern part of Hebron, in addition to the Shuhada and Zawiya streets, and around the Ibrahimi Mosque, in Hebron city. Furthermore, the soldiers invaded Kharsa village, south of Hebron, and occupied the rooftop of a Palestinian home before raising an Israeli flag. The home is located near a road that links a military base with Nahal Nagahot colony, illegally built on Palestinian lands, in Doura town, south of Hebron. 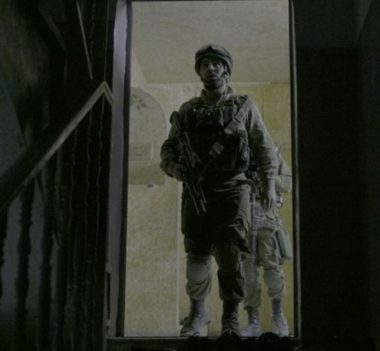 Israeli soldiers abducted, on Thursday at dawn, three young Palestinian men, after invading and violently searching their homes, in Beit Jala city, and the Saff Street area, in the West Bank governorate of Bethlehem. Several army jeeps invaded Beit Jala city, northwest of Bethlehem, before storming and searching homes, and abducted a young man, identified as Steve Monther Matar, 21. 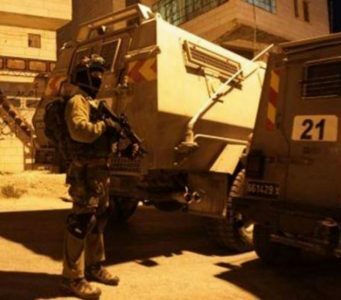 The soldiers also invaded homes in the Saff Street, in the center of Bethlehem city, and other parts of the city, searched homes and abducted two Palestinians, identified as Ibrahim Hani Hassan, 27, and Anas Ismael Obeyyat, 25. Israeli soldiers abducted, earlier Thursday, a young Palestinians man, after stopping him at a sudden military roadblock near Jenin, in the northern part of the occupied West Bank, and violently searched the home of a political prisoner in Jenin refugee camp, while interrogating the family. Media sources said the soldiers abducted Eyad Husam Dabaya, 32, from Jenin refugee camp, after stopping him at a sudden military roadblock, close to Haddad Tourism Village and Resort, near Jenin city. 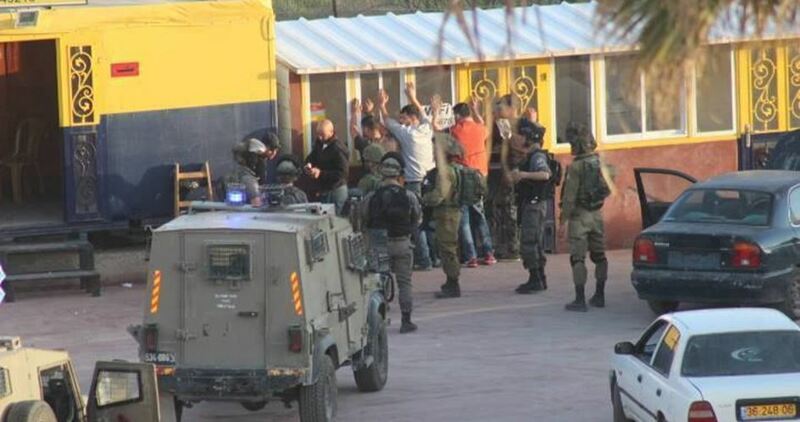 In related news, several army vehicles invaded Sanour village, southwest of Jenin, and searched the home of a political prisoner, identified as Mohammad Khaled Ayasa, 23, while interrogating his family.